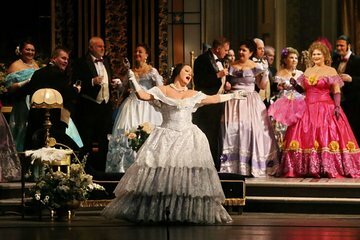 Enjoy a short version of the Traviata, the famous opera by Giuseppe Verdi, with this ticket option. The opera is performed inside the prestigious Santo Stefano al Ponte Church, which is known for its grand architecture, excellent acoustics, and enchanting atmosphere. Tickets will be held at the theater box office.